A pastor from Arkansas was recently accused of violating the Constitution for holding a Bible study during a high school football camp. 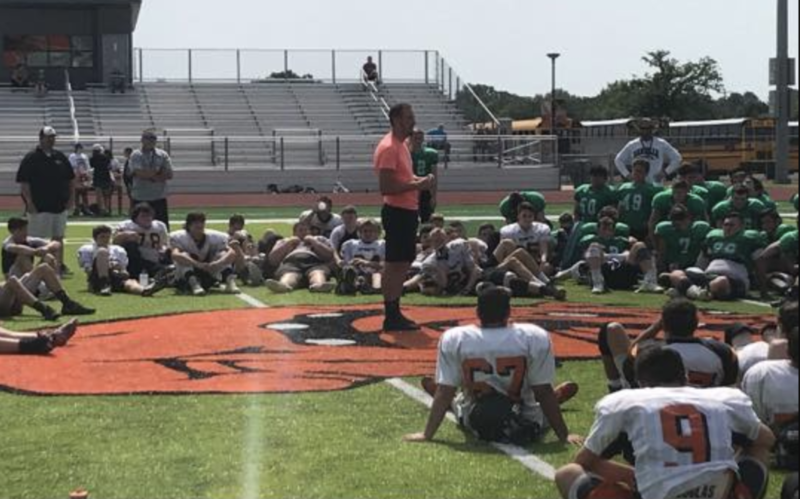 The controversy began when Konnor McKay, who is the pastor of Waldron Pentecostal Church of God in Waldron, Arkansas, was invited to speak at his alma mater’s football camp, where he played back in high school. He gave a Bible-based message on the value of teamwork, which drew the attention of the anti-Christian legal group, Freedom From Religion Foundation. “I shared with them the importance of teamwork. … That’s what I felt in my heart to share,” McKay said. FFRF is a nonprofit that educates people on “nontheism” and urges society to turn from religion. FFRF sent a letter to Waldron High School’s superintendent asking for the school to not promote religion ever again. “Parents send their students to football camps to become better players, not to be brainwashed. Public school students should not have to pray to play,” Gaylor said. On Saturday McKay joined “Fox and Friends” to discuss the incident, which he insisted did not violate the Constitution. “I know what it’s like to be where these players are at,” he explained. “I know what it’s like to be a high school football player and I felt that it was important to know the value and importance of teamwork. So I came that morning and I shared with them the importance of teamwork and I shared with the kids that as iron sharpens iron, so one man sharpens another. And that’s what I felt on my heart to share with them,” McKay explained.